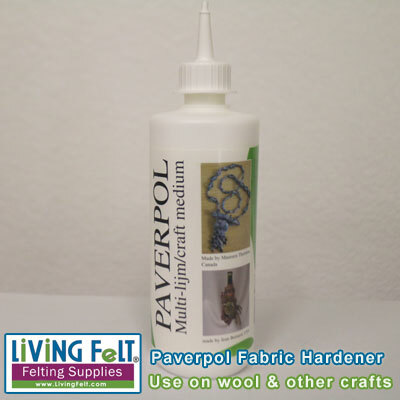 Paverpol Fabric Hardener - Make your felted sculptures rock hard! Dries transparent, use it on colored wool or add pigment. For your needle felted sculptures...paint it on the wool! Great for bird feet, beaks, claws, etc that are wool needle feted over wire. For making wet felted sculptures hard and weather resistant..paint it on ! Tools and hands will wash up with warm water.